who are shaping the destiny of thousands if not millions of people during the age of austerity. Taking my cue from David Cameron, who will be thrilled with the idea of this blog, it is part of making sure we are all in it together. I am sure he will applaud the checks on those at the top. Everything here is obtained from public documents and websites. Nothing, Andy Coulson please note, has been acquired from tapping personal mobile phones. Tory Brian Coleman, 49, has been in the news over a bitter dispute with London fire fighters over their hours. He accused them of holding down ” two jobs” and he brokered bringing in a private company, Assetco, to fight fires when the firefighters went on strike. The company is now in serious trouble-see other blogs on Assetco on this site. *Local Government Association, a voluntary body funded by councils from council taxpayers. Brian is a great expense claimer never knowingly underclaimed. He can claim for expenses for three of his four jobs – the LGA don’t allow him. Last financial year his expenses as a London Assembly member and chair of the London fire authorityreached in excess of £3500 and that does not include his Barnet expenses which he declines to disclose on-line. Included in this are claims for the congestion charge – a tax that MPs are even barred from claiming and which might be challengeable by Revenue and Customs. 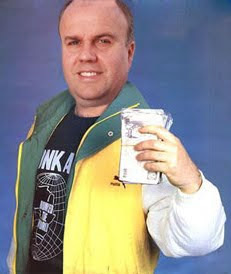 He is a big patron of London cabbies claiming once over £10,000 a year from the London Assembly on trips (2006-07). He is now more modest – claims have varied between £8000 -plus a £1700 travel card (2007-08) and £345 for 2009-10. All from the taxpayer. His fire brigade expense claims are not much different.These include a £119 taxi fare to the Fire Service Awards Ceremony in May 2009 and £143 to attend Westminster’s Lord Mayor’s reception for the Lord Mayor of London. He also spent £402 on a rail ticket to go a LGA conference in Manchester. Little difference in 2011 -with a £145 taxi fare for him and his mum to go to a firefighters service of remembrance and meetings in London. His red letter claims day is May 12 last year – where he managed to claim car mileage, congestion charge and over £67 in taxis for a dinner -all on the same day. For the current financial year he is already on track to meet his usual high spending record- having claimed £1650 so far from the London fire authority. This included £145 for taxis one one day to go to St Pauls and back for the National Firefighters Remembrance Service in September and another £155 to go to and from a remembrance service for a colleague. This year he has been entertained to lunch by two prominent Tory lobbyists – unsurprising given it will be election year in 2012 for the London assembly. They are Alex Challoner, managing director of Cavendish Place Communications, who masterminded Steve Norris’s ill fated bid to be London mayor, and Tony Hutt, of Four Communications, who is a lobbyist for major planning schemes in the capital. His gifts include four dinners (three of them before the company won the contract) and a £350 Harvey Nichols hamper from the head of AssetCo, John Shannon, the company which has a £9m PFI deal with his authority and provided strike cover. On Christmas Day he started to eat and drink everything in this picture. He and David Cartwright have also been busy being entertained to £50 a head dinners by Danish private fire company Falk, and British private outsourcing giant, Serco. 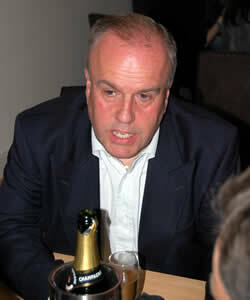 Brian Coleman represents Totteridge in Barnet but lives in West Finchley, N3. He is a member of the Finchley Methodist Church. They are his landlords and his flat has a registered fair rent of £546 a month since 2008. That is about £125 a week. This is the Valuation Agency document.Scan_Doc0002 . According to local estate agents, the market rent for 2 bedroom flats is £1200 a month in his and neighbouring streets. Mr Michael Giles, the minister in charge of the charity, has declined to comment on the huge difference. To get an idea of what he is like see this exchange that closed down a council meeting. He also has had a spat with single mum who went to him for help but ended up being told to live in the ” real world” when she was faced with a £150 a month rent rise – paying double what Coleman pays on his subsidised flat. CONCLUSION – ALL IN IT TOGETHER? Brian Coleman’s decisions will have a huge impact on thousands of families – both in his campaign to cut back on firefighters terms and conditions of work and his role as a team player at Barnet Council implementing Easy Council solutions for residents which will affect the lives of the poor, vulnerable and many of his middle class constituents. He is going to curb the right of backbench and Liberal Democrat councillors to speak at council meetings with the backing of the Barnet Mayor. In the meantime he defends his income and expenses from the taxpayer. Tell him what you think. You can ask to be his friend on Facebook but he keeps his comments there private. I am sure he will be very much in favour of David Cameron’s policy of accountability and be delighted to respond. You can also find on this site armchair audits of Gareth Bacon, chair of London fire brigade’s performance management committee and David Cartwright, the Mayoral appointee to the London fire brigade. Meanwhile any comments on this blog are welcome. Contact me if you think who should feature next. This entry was posted in town hall, Uncategorized and tagged brian coleman, david cameron, expenses, fire brigade. Bookmark the permalink. Brian Coleman has so many claims to notoriety it’s hard to know where to start. He was the architect of removing speed bnumps all round Barnet – but will no doubt be out of sight if it turns out to injure and kill more people. As for the policy legacy in Barnet, we have easyCouncil and their slash and burn policy was largely inspired by Mr Coleman. Truly a man ready for promotion! Thanks for this very useful piece of research, worthy of Private Eye if I might say so. You may find inspiration in that magazine for further subjects for your investigations in the Rotten Boroughs segment. Well done. Such people need to be exposed more and more. Why does greedy London Assembly member Len Duvall need to augment his allowance by being a paid director of Tilfen Land, a property company active in his consituency? interesting … Coleman is regularly featured in my own blog, Broken Barnet. I had not appreciated the LGA link bu now I know why I get regular visits from their IP as well as the GLA … You are definitely barking up the wrong street, however, as regards Brian’s accommodation: rather than owning a house in this street, I think you will find that he has a much more humble and interesting arrangement! How dare a man who does four jobs, obviously allpart-time, vote to make carers in Barnet redundant not to menyion all the others planned for the near future. he should be paid a normal hourly rate (not including travelling time) and find out what real life is like. Who the hell voted this man in? He also hold down an allowance from being on the bored – sorry board – of the North London Waste Authority. ahem, please note that the mysterious commenter above is nothing to do with me … great news, though, Coleman losing his LFEPA post will hopefully be followed tomorrow by a hat trick of losses with the removal from Barnet’s cabinet.